It's been a wild and crazy week over here. So wild. So crazy. Do you want to hear how w&c it truly did get? I know you are just on the edge of your seats, tell us Bonnie, please tell us! Okay, okay but only because you insist. At the beginning of the year we got into two markets for February 5-6 for Hey June. What is a market you may ask? A place to go to buy a fat pig? No no, it is where all these adorable and talented people set up a booth with their handmade items and then a bunch of people come to shop 60 or 70 some vendors at a time. Sometimes in the summer it's outside in a park. In the winter in Utah it is definitely definitely inside. Markets are a great way to sell our jewelry and meet other creative, inspiring people. They are, however, a tad bit stressful. You have to have tons of inventory ready and you're pretty much setting up a little store for the weekend. We did our first two markets on two different weekends in December and our first one was so stressful I was certain I was going to keel over from a massive ulcer. Well, I didn't, and we lived to tell the tale so naturally I thought, sheesh that was so easy let's do two on the same weekend next time! I mean. That's not really what I thought. 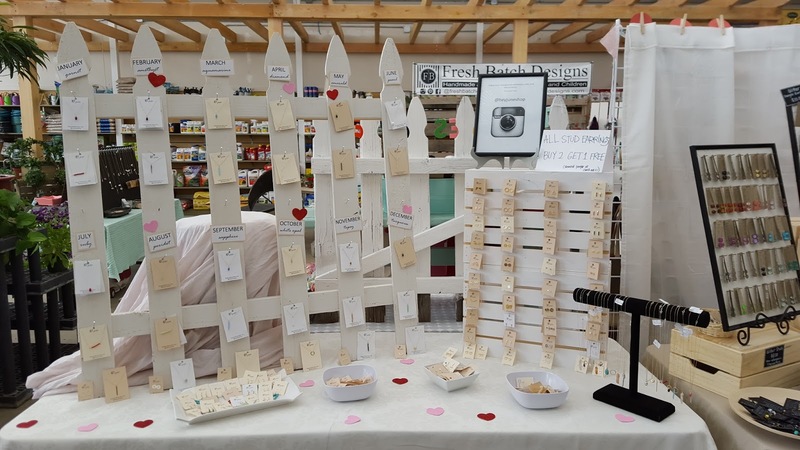 But when we were accepted into two Valentine's markets for the weekend- one south of where we live and one north of where we live- we figured hey! Let's do it! Let's hustle the crap out of this jewelry and make a bunch of money so we can retire early and buy a a yacht. Or buy diapers and health insurance. All great options! Thursday was especially wild. 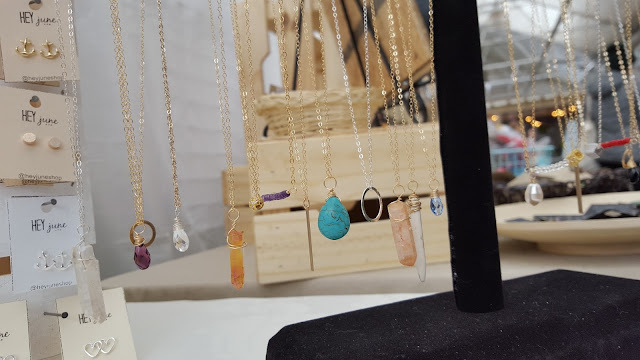 I had 7 am meetings, then taught four classes in a row, went straight from school to a craft store to buy booth display crapola, went home and made jewelry and prepared booth stuff with Greg until 1 am. 7 am to 1 am. That's gross. No person should work that many hours. I barely got to see my Junebug and that was the worst part of the day because babies should get to be snuggled every day by their mama but you make sacrifices to one day live on a yacht, right? Friday morning. Another bright, sunny day for us- thank you, Utah winter! Friday morning we needed to be up at 7 to set up for the markets. Greg was to take his display North to Salt Lake and I would take mine South to Orem. June was coming with me so my mom could watch her. 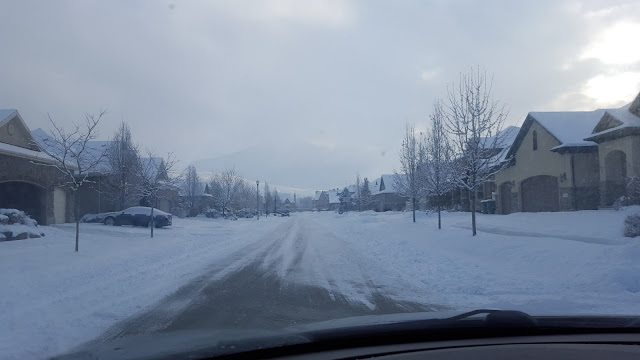 NATURALLY it snowed the night before because WINTER DOES WHAT IT WANTS so the roads were horrible, the windshield washer fluid wasn't working, we were slip sliding all over the roads, etc, etc, etc. If you think that we shoveled our driveway Friday morning you are a fool. The driveway is officially the last thing I care about I apologize in advance if you fall and break your back coming to my house but we just can't keep up with this winter come visit in May if you must. Somehow we got both markets set up for by 10 and then we all three (Greg, me, June) went home and collapsed into a wonderful stupor/3 hour nap. FTW! (But not before hitting up McDonald's for breakfast. Living the dream right here, people!) You ain't seen nobody take a joint nap until you see the Larsen clan do their winter nap thing. The way the three of us nap in tandem is something only Olympic heroes can truly understand. It is glorious. Market set up- ready to rock and roll. Not a bit stressful! SOOOOOO that was our week. That is also why I haven't written on this blog since Wednesday. In fact, I don't even remember writing that post on Wednesday, that's how much of a freaking blur this whole week was. Apparently I watched Bachelor on Tuesday and wrote about it on Wednesday, but I recall nothing. - What we did in class this week. My AP students just finished Catcher in the Rye. It was such a fun book to teach! Any other suggestions? I am at your service! You say the topic I will write about it! Now it's time for me to go cuddle Greg and watch Married at First Sight. We haven't yet had time to watch Tuesday's episode and it is Sunday night, my what a week!